Two brothers - Herbert Page and Claude Page gave their lives on the Western Front during World War 1. Their great, great nephews Owen and Martin Rogers only discovered this connection towards the end of 2014 and felt they had forgotten about their Uncles and the sacrifice they made, so commenced a journey to visit their respective resting places in Belgium and France. Whilst there, Owen and Martin thought about who else may have been forgotten about, so embarked on a project to individually remember each of the 102,804 names on the honour roll at the Australian War Memorial. Poppy Park was born, an individually named poppy for each of our fallen, including a purple one to remember the animals, all assembled to form a giant poppy. 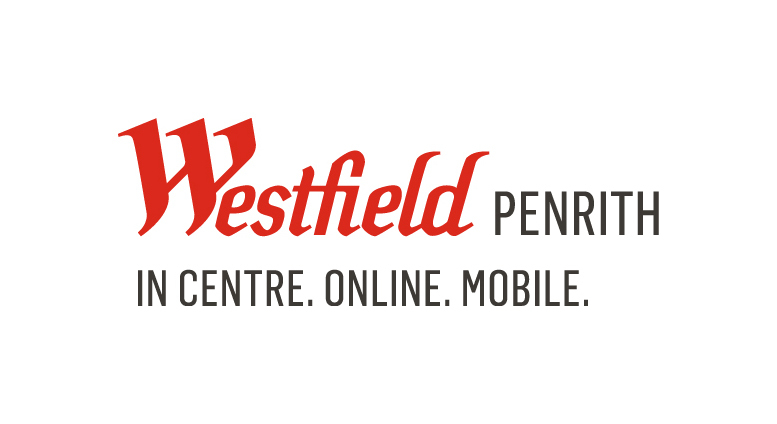 In 10 weeks, 1500 volunteers from the community of Penrith came together to create, assemble and welcome visitors to Poppy Park. 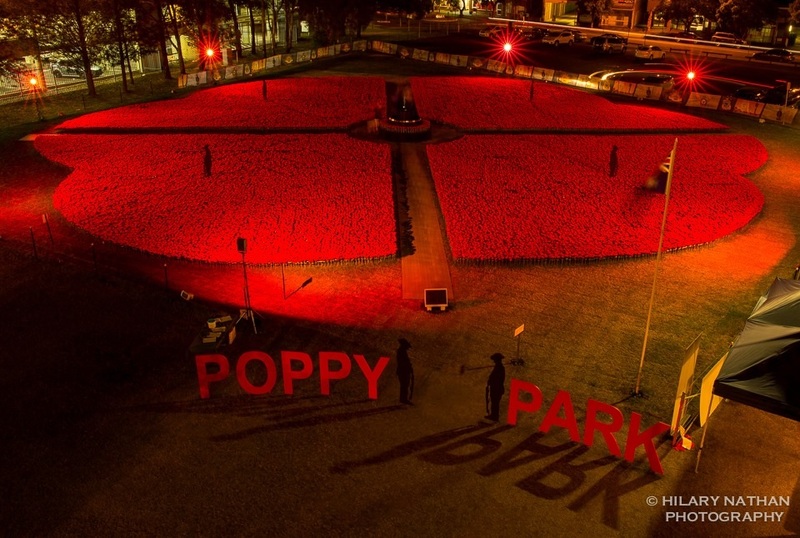 During the 6 weeks Poppy Park was open over 50,000 visitors of all ages attended day and night. "It's difficult for one person to remember 102,804 names, however it's easy for 102,804 Australians to remember one name each". Can you be one of those to remember ? 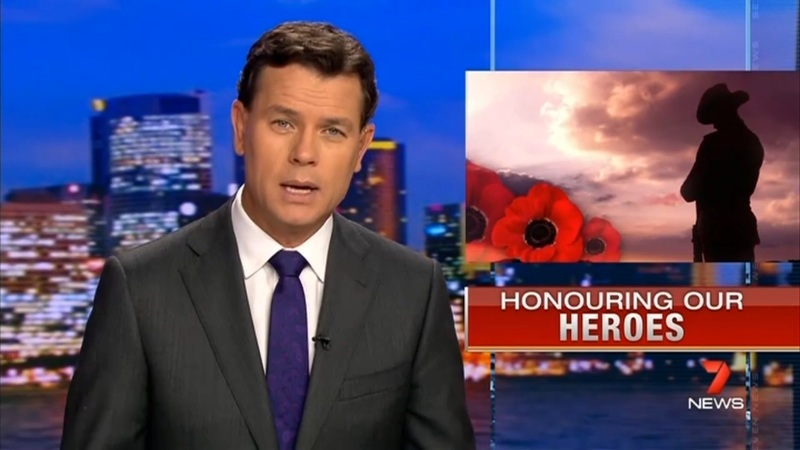 "Australians Young & Old, Remembering our Fallen Heroes"
In the recorded conflicts that Australia has been involved in, from Sudan in 1885 to present day Afghanistan, over 102,000 Australian soldiers, sailors, airmen & nurses have paid the ultimate sacrifice and given their lives for the freedom we all enjoy today. Even though we remember & commemorate collectively the battles fought, as families fade and generations pass, the individuals who gave their lives during these battles may no longer have anyone to specifically remember them & the sacrifice they made. It is the vision of Remember a Soldier that each of our fallen heroes be remembered personally each year, by at least one family in Australia. 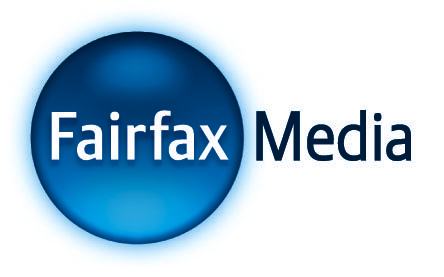 "It is difficult to remember 102,804 names, however it is easy for 102,804 Australians to remember one name each". 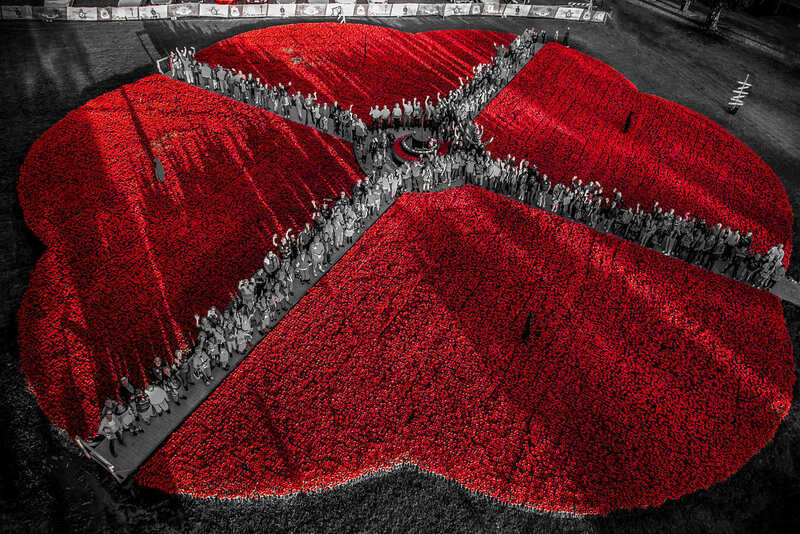 For Anzac Day 2015 we established Poppy Park, which saw over 102,000 commemorative poppies symbolically displayed to form the shape of a giant poppy with the name of a fallen hero attached to each stem. The field of poppies spanned over 2000sqm in size. 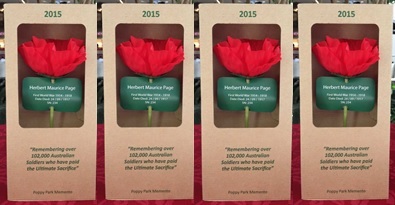 Each poppy was made up of a long green stem, fabric red petals & a black centre piece. 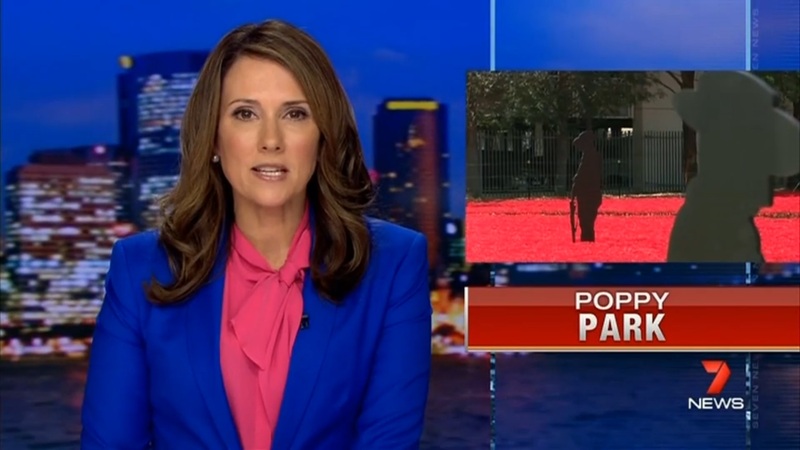 Poppy Park was opened at a ceremony on Saturday March 21st, 2015, (1:15pm - 2pm) by the Honourable Senator Michael Ronaldson, Minister for Veterans Affairs the Minister Assisting the Prime Minister for the Centenary of ANZAC, and the Special Minister of State and Emceed by Mark Ferguson from Seven News. 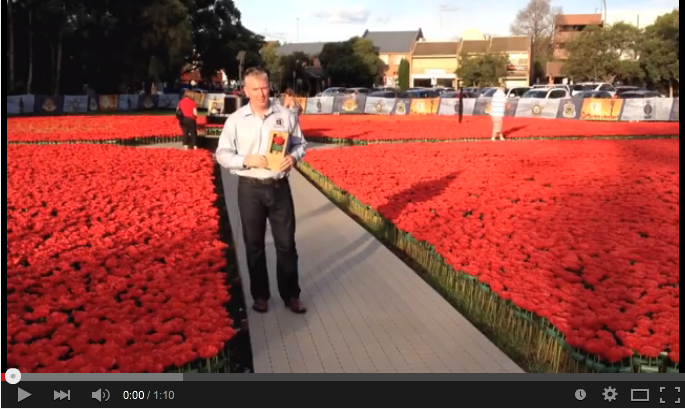 Poppy Park was open for 5 weeks from March 21st, through ANZAC Day to April 29th & visited by over 50,000 people. Poppies with the names of our fallen heroes have now been collected, packed into commemorative boxes and are being sent to the people and organisations across Australia that have purchased them, to keep as their own little memento of their contribution to Poppy Park. Then come Remembrance Day in November each person will have a poppy and the name of a fallen hero to personally remember. Names are being randomly assigned, as it’s important that all soldiers, sailors, airmen & nurses are remembered. If people were to choose their own name then those who have no one left to remember them, may go unassigned. There is then the added benefit that it creates a new connection with someone you may have never known, yet we all owe so much. 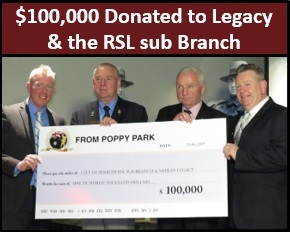 The Poppy Park Committee invite individuals, families and businesses from across Australia to participate by purchasing a poppy or a number of poppies for Poppy Park and together we can ensure that every soldier, salior & airman who paid the ultimate sacrifice is individually remembered each and every year. 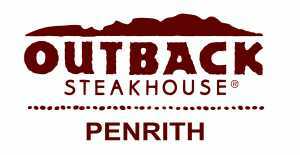 It is a great way to connect the community, our families and the next generation with the enormous contribution and sacrifice our fellow Australians have paid. As a customer recently wrote on our Facebook page, "Because all our soldiers lived by the promise of never to leave a man behind, we have to remember all of them." Our job is not done until all the poppies have been purchased & all the soldiers, sailors, airmen & nurses have been remembered. With your help we can achieve this. There are single, family, business & corporate packs of poppies available.